As the newly appointed Mage to the Crown of Tirlin, Meralda Ovis has no choice but to undertake King Yvin’s ill-conceived task. As Tirlin’s first female Mage and the youngest person ever to don the robes of office, Meralda is determined to prove she deserves the title. The tower, though, holds secrets all its own. Secrets that will soon spell destruction for all of Tirlin--unless Meralda can unravel an ancient curse laid by a legendary villain seven centuries before she was born. Join Mug and Meralda as they take to the skies in the long-awaited sequel to ALL THE PATHS OF SHADOW! The airship Intrepid, fitted with Mage Meralda’s flying coils and bearing a crew of a hundred and sixty-two souls, sets out to cross the Great Sea. If the Intrepid survivesthe voyage, she will be the first craft of the Realms to ever reach the mysterious Hang homeland. But as Meralda soon discovers, storms and sea-serpents are not thegreatest perils she must face. Powerful forces oppose the Intrepid’s crossing, and the most dangerous foe of all may lurk deep within Meralda’s own heart. If you’ve a taste for airships and intrigue, then climb aboard the Intrepid and dare the vast Great Sea! Markhat’s original adventures are all included in this anthology! Quiet, hard-working seamstresses aren’t the kind that normally go missing, even in a tough town like Rannit. Martha Hoobin’s disappearance, though, quickly draws Markhat into a deadly struggle between a halfdead blood cult and the infamous sorcerer known only as the Corpsemaster. A powerful magical artifact may be both his only hope of survival—and the source of his own inescapable damnation. 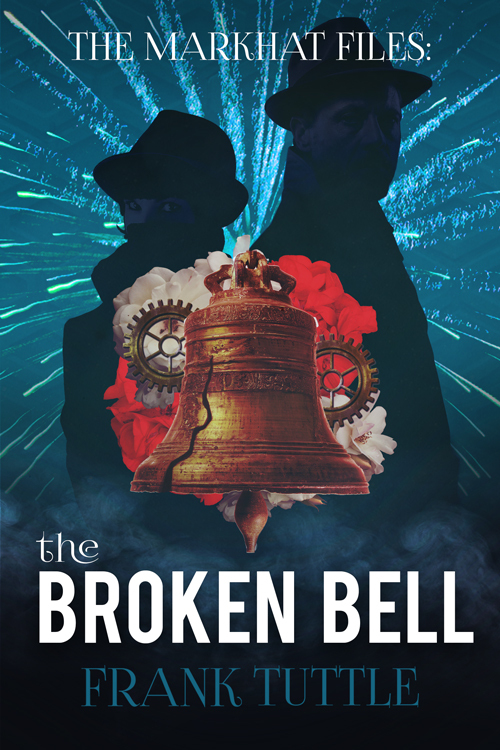 Markhat’s search leads him to the one thing that’s been missing in his life. But even love’s awesome power may not save him from the darkness that’s been unleashed inside his own soul. When patron of the arts Lady Erlorne Werewilk hires Markhat to identify the parties stealthily mapping out the Lady’s estate by moonlight, Markhat anticipates the usual—greedy relatives or rapacious neighbors plotting a land grab. After all, muses Rannit’s most feckless Finder, the Lady runs a colony filled with young artists. Aside from snits over color and perspective, how dangerous could a squabble over a backwoods house possibly be? With new partner Gertriss in tow, Markhat takes the Lady’s case. Before the first night is done, the house is visited by murder, mayhem, and the haunting wail of what may be a genuine banshee, come to herald not just one death, but the deaths of all within. Trapped in a house under siege, Markhat must make a desperate gamble with an old enemy to unlock the secret that lies beneath the Lady’s lands. And find a way to turn that secret against the powerful forces converging on House Werewilk. There’s no way Markhat can turn away his newest client. Who is he to refuse the woman he loves—especially when she bribes him with breakfast? Darla’s friend Tamar Fields is one groom short of a wedding. His wealthy family insists Carris Lethway is simply away on urgent business. Tamar smells a lie, and she needs Rannit’s most famous finder to discover the truth. As if Markhat’s plate isn’t piled high enough, Mama Hog’s slip of the tonguelanded him in the middle of a Pot Lockney clan feud. Plus, Rannit’s streets are abuzz with rumors of war—and Tamar’s case has his own lady love hearing wedding bells of her own. As Rannit arms for battle, Markhat finds himself torn between old alliances and new commitments, and a growing, awful fear that no matter which way he turns, all he loves is about to go up in flames. Take a simple, three-day cruise on a lavish steamboat casino, they said. Just keep an eye out for trouble while the Regent rolls the dice, they said. Markhat should have known the maiden voyage of Avalante’s vampire-crewed Brown River Queen would be anything but a finder’s dream job. Especially when he charges a ridiculous fee—and gets it without a peep of protest. Then a pair of identical murderous maidens attack him and his lady love, and it doesn’t take a banshee’s howl to confirm his sinking suspicion he’s about to earn his fee the hard way. As the heavily guarded steamboat casts off, Markhat is forced to navigate shoals of old enemies, treacherous political undercurrents, and rogue waves of assassins. All to keep the walking dead from turning the Brown River Queen’s decks red with blood. As the sun sets over Rannit, a new menace creeps out with the dark. There’s a killer on the loose, and Markhat suspects magic behind the murders.Each victim receives a grisly drawing depicting the time, place, and mannerof their murder. Not a single victim has escaped the brutal fate drawn for them, and now Markhat’s death-drawing has arrived. The mighty Dark Houses are also falling, one by one, as terror grips Rannit’sstreets. Even sorcerers are dying, their magic failing, their blood spilledas easily as any other. With time and hope running out, Markhat races to outwit a creature that can see outsideof Time itself. Before the picture of his own death is stained with real blood. When Darkis Diverse Delights arrives by night to set up shows and rides that promise fun and excitement for one and all, the outskirts of Rannit begin to look disturbingly like the nightmares that plague Markhat's sleep. Mama Hog has sent him a new client, a cattle rancher with a missing daughter. Markhat's search reveals genuine terrors lurking amidst the carnival's tawdry sideshows, where Death itself takes the main stage every evening, just past midnight. The orchestrator of the murderous, monstrous mayhem is the mysterious carnival master, Ubel Thorkel. 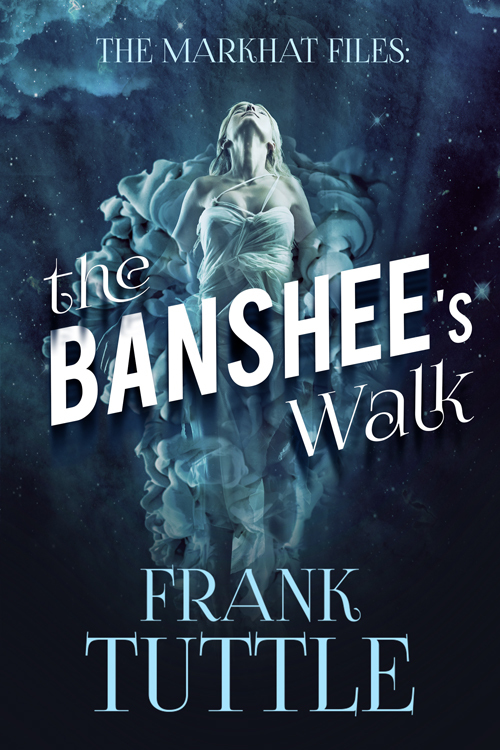 And after Buttercup the Banshee is threatened, Markhat is in a race against time to find the carnival's dark heart and strike it down once and for all -- or die trying. Markhat and Darla journey into the unknown, where Trolls and worse await those who dare the wastelands, and old magics take on new life when fueled by vengeance and the undying power of greed. Three thousand miles of haunted prairie lie between Rannit’s bustling streets and tiny frontier town of Railsend. Finder Markhat’s new case puts him aboard the steam locomotive Western Star, bound for Railsend…and the edge of the world. But before the Star sees its first sunrise, blood is spilled, and Markhat finds himself at the center of a murderous mystery. When wartime magic of the killing sort enters the picture, Markhat realizes not all the passengers are who they seem. There’s a rogue sorcerer aboard the Western Star, a sorcerer bent on homicide—and not just one death will do. Pressed into service by railroad law, Markhat must unravel the tangled web of lies before the next life taken is his own. There's trouble in the skies over Tirlin, and it's Mage Meralda and her faithful houseplant Mug to the rescue! The private airship Sammi, with four souls aboard, is caught in the grip of a monstrous storm. Can Mage Meralda's newfangled flying coils ascend to heights even the Air Corps don't dare, and will her hastily-assembled flying machine hold together long enough to reach the Sammi? All three of Wistril's magical misadventures are included in this complete compilation of cantrips and catastrophes! Wizard Wistril's wants are simple -- four meals a day, a steady supply of honey-gold Upland beer, and above all else, peace and quiet. All but the latter are in plentiful supply at Castle Kauph. Despite secreting himself on the edge of the Wild, Wistril finds himself battling an army of relentless mercenaries while the entire population of the nearest village takes refuge in his home. Even Kern, Wistril's long-suffering, sharp-tongued apprentice, isn't sure whether the army or the house-guests will prove to be Wistril's undoing! Wistril doesn't believe in lake monsters -- until they invade the lake that just happens to provide Wistril's favorite fish dinners. Faced with the choice of adjusting his menus or daring the wilderness around Lake Ovinshoon, Wistril and Kern soon have bigger problems than mere lake monsters on their hands. Because while Wistril wishes only to study the beasts, others wish to hunt them and skin them. Will Wistril's peaceful White Chair magics prevail against a ruthless band of wyvern-hunters who have only profit on their minds? If ever there was a determined bachelor, thought Kern, his name was surely Wistril. So when Wistril's wife-to-be shows up with a pursuing army on her heels, life at Castle Kauph is turned upside down. And when another suitor for Lady Emmerbee's hand arrives, with a dark and menacing wizard of his own in tow, it's up to Kern and the rest of Castle Kauph to get Wistril wed without losing his head! White Chair wizard, gourmand, beer fancier, scholar. Wistril of Kauph is all that, and more. Join him for a taste of classic high fantasy well seasoned with humor and a dash of adventure! Join the Crown's first female Sorcerer as Mallara patrols the Five Valleys on the lookout for magical mayhem. Accompanied by her faithful (but bodiless) assistant Burn, Mallara is charged with keeping the folk the Valleys safe from arcane threats old and new -- but is a lone Sorceress sufficient to keep the peace? "On the Road" features four Mallara and Burn stories. "The Ringed Round" finds Mallara and Burn face to face with an ancient specter imprisoned for millennia in a ring of stones -- stones which plot to add Mallara to their doomed menagerie. "Night Stand" brings Mallara and Burn to a haunted ruin in need of a magical Cleansing. But as Mallara and Burn soon discover, this is no ordinary haunting. Mallara's only hope is to keep the vengeful wraith at bay until sunrise -- but the wraith is determined to claim Mallara's life before the night ends. "The Asking and the Vow" begins with news of a Troll making a rare visit to a sleepy town square. Will the story end with Mallara failing to deliver on a Vow made hundreds of years before she was born? "The Helpers" finds Mallara and Burn pitted against an army of overly-helpful goblins, who may have more than just sweeping up on their minds! Join Mallara and Burn as they take on the task of patrolling the Five Valleys, and discover magic and mayhem with every turn of the road! 'Passing the Narrows' first appeared in Weird Tales magazine in the Spring 2000 issue. It was later voted best story in that issue by Weird Tales readers. "The Harper at Sea" -- Jere the Harper, afloat on a raft, in the midst of the Great White Sea. His only hope is rescue -- but will the merfolk be his undoing? "Waking the Master" -- The old wizard's house is clever, hard-working, and eager to please. So when the Master oversleeps, the House decides to take charge. "The Truth About Arphon and the Apple Farmer's Daughter" -- Jere the Harper once again finds himself in the wrong place at the wrong time. Can he sing his way out of trouble, or has the harper sung his last? "One Such Shore" -- Silicy takes to the Sea to pursue her dreams. But the Sea is a perilous place, and the storms Silicy faces may force her to seek a new shore. "Tinker Bell, Cannon Dale, and the All Wheeling Nick of Time"-- Elves. Bicycles. Shotguns. Whiskey. Just another day for Tir Na Nog's foremost bicycle repairman -- but a night is falling that will change him forever. 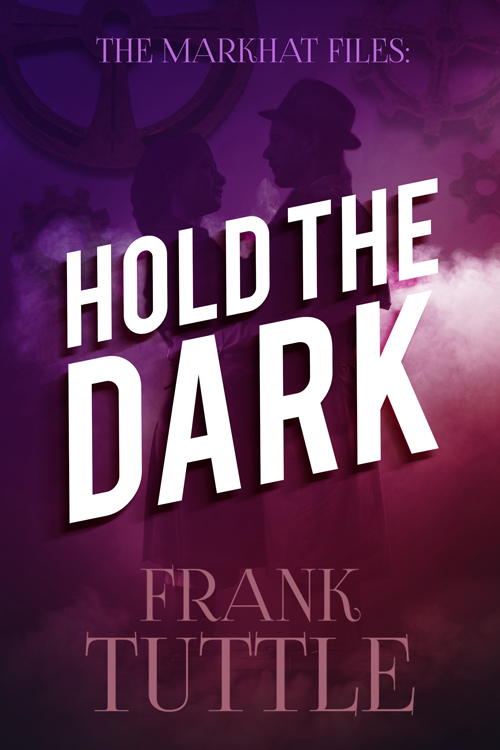 Fantasy author Frank Tuttle reveals his tips and tricks of the trade in a how-to book designed for the new (or young!) author. Learn how to build a story from the bones up, avoid the perils of head-hopping and infodumps, and take stories apart to see what makes them work. Writing is hard work, but there's no reason it can't also be fun.